I was extremely honored to be a recipient of the Ecuadorian Scholars Fund Award in 2011. I thank JUVE and all scholarship committee members for their vote of confidence, and support of my education. It is because of organizations like JUVE that I was able to focus on my studies and career goals, and complete my undergraduate degree in May 2012. 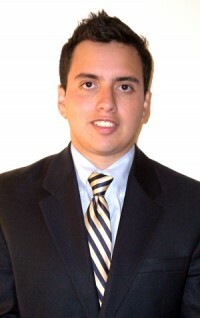 My name is Jose Izquierdo and I am one of the proud recipients of the 2011 Ecuadorian Scholars Fund scholarship. This award has helped pave the road for continuing my education in order to graduate as a Civil Engineer by spring 2013. Professionally, it has been added to my resume, which adds diversity and honor to potential employers who have read it. Aside for helping me fund my education, the workshops served as great learning experiences and bonding sessions with fellow compatriots. I am a proud recipient of the 2011 Ecuadorian Scholars Fund Scholarship. The award was just part of what I gained from being involved in the JUVE community. The seminars were informative and helpful and introduced me to the world of networking. The award assisted me during the second semester of my freshman year in college. It allowed me to move ahead in both my education and professional goals.